There is a wealth of excellent resources available for someone looking for arguments and evidence for Christianity. If you are among the favored few who can ingest enormous quantities of information and recall it easily when needed, then I can send you a list of those resources. But my hunch is that most Christians who care about disciple-making really need training to communicate what they know, not more information that they aren’t sure how to use and might not remember. If you are in the latter group, then this page is for you. I will recommend a few select resources in conversational apologetics that I enjoy using regularly. These are for the ordinary Christian who wants to be ready to move confidently into Gospel conversations with unbelievers. I will update this page as these resources are enhanced. When faced with objections to the Bible, many Christians would rather run for cover rather than seek to engage. It is easier to talk to those who already agree with us. But not all skepticism is an obstacle to the Gospel. There is a good kind of skepticism that Christians should encourage. That is the view taken in the cleverly written leaflet, “Jesus for Sceptics,” by Alan Stewart and Gordon Cheng. It is available here from Matthias Media. (As an Australian publisher, Matthias uses the AUS/UK spelling of “sceptic”). A true skeptic suspends judgment until weighing the evidence and asks for sound logic and proof before drawing a conclusion. That is not a threat to Christians, but an opportunity. It is to the advantage of the Gospel when unbelievers examine the evidence for the Bible with unprejudiced minds. 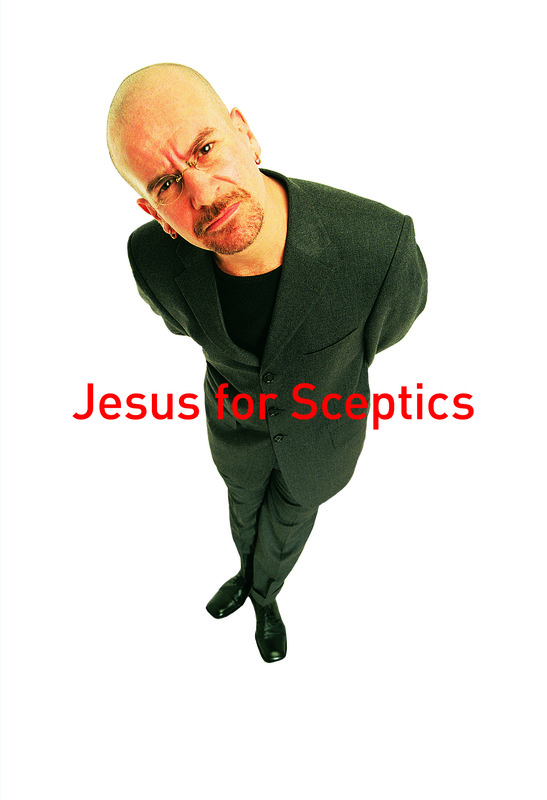 Use “Jesus for Sceptics” as a provocative conversation opener with unbelievers, and as a tool to prepare your own thinking. Without question, Bill Foster’s Meet the Skeptic, which I reviewed here, is my top choice for a training resource. It offers what most Christians need most: a simple way to move confidently into conversations with people who express a variety of objections. Meet the Skeptic offers an approach that meets the standards of humility, gentleness and wisdom set by Jesus. I like Foster’s approach because it 1) presents an understandable framework that makes sense of a seemingly hopeless tangle of bewildering objections, and 2) offers a simple, adaptable process to probe a skeptic’s thinking and lead her or him to consider truth. See for yourself and check the graphic that illustrates how Foster’s approach works. A companion workbook is available here. It provokes vigorous thinking and, unlike many workbooks, lends itself well to role-playing and similar training methods that churches badly need. Even these resources, all accessible to ordinary Christians, and all incisive and effective, still require study and practice to be used well. And none of them eliminate the need for trust in the Holy Spirit. But in my opinion they offer the best help available to move us from the content of the Gospel to the conversations that we want to have.